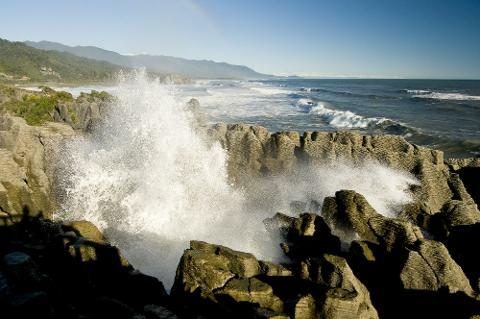 Spend a day and explore Punakaiki Blow Holes and Pancake Rocks, Tree Top Walkway and the famous Hoktika Gorge. Punakaiki Blow Holes and Pancake Rocks - travel the World famous Coast Road, rated one of the top 10 Coastal drives in the World. Explore the Pancake Rocks, where the sea, wind and massive geological change have shaped the landscape creating fascinating stacked limestone rocks that the sea has eroded creating blowholes. Tree Top Walkway - walk amongst the tree top, with beautiful views of majestic Lake Mahinapua while listening to the bird song. 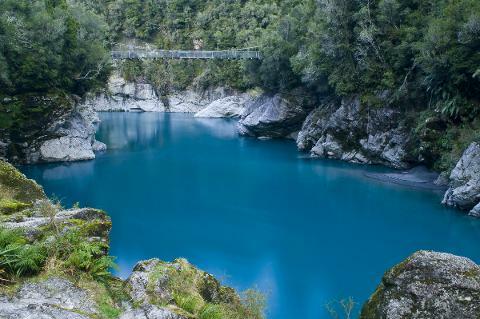 Hokitika Gorge - a popular tourist spot with vibrant blue water and tranquil setting, a must do on the West Coast. Allow a full day, minimum booking of two people required for this tour to run.